Results: Viewing items 1-5 of 41. Great tune, it moves it grooves, it's a good time bad time balls to the wall blues tune ... love it. Super piano playing. I loved the arrangement and the melody. This could be great on the radio or in a movie. You play the instruments really good too. But is that such a sin? 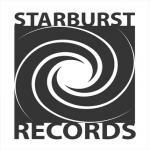 Would you like to help StarburstRecords get heard by industry pros by buying them a song submission credit to Broadjam Music Licensing Opportunities?